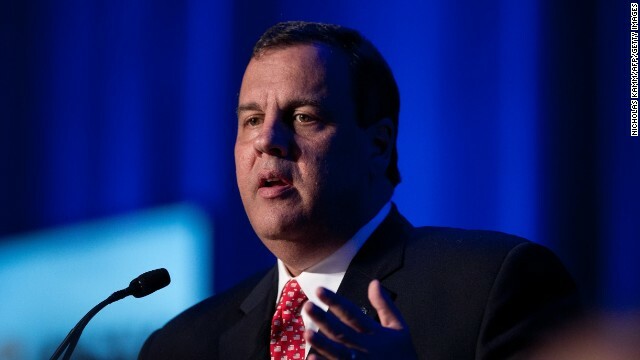 The governor pointed to a drop in the unemployment rate since he became governor in 2009 and made the case that the Garden State has a more difficult political climate than other states with Republican governors. "I often am jealous of my three colleagues up here who have Republican legislatures who could actually have Republican policies implemented, where in my state, everything that I've had to do has been the issue of a compromise or battle with the Democratic legislature," he said. Christie was sitting alongside Govs. Nikki Haley of South Carolina, Scott Walker of Wisconsin and Mike Pence of Indiana at the RGA press event. "Every state is going to be different," he added. The potential GOP presidential contender already made major reforms to the pension system in his first term, and he's still urging for more changes. He defended his economic record Wednesday, saying he's had to compromise at times with the Democratic-controlled legislature but he has also vetoed every income tax hike proposal he's received. "Given the success the RGA's had in the first five-six months of the leadership of me and Governor (Bobby) Jindal in terms of raising money and expanding the map, I don't think anyone's concerned about whether or not me or Bobby can make the case," he said. Jindal, who's also mulling a White House bid, was RGA chairman last year and currently serves as vice chairman. Haley also defended Christie at the event Wednesday. "Let's be clear, we would not want him to give up the chairmanship. He completely has the backing of all of the Republican governors. He's been a rock star," she said, citing his fundraising ability and efforts to spread their message. "We wouldn't let him step down." Haley is running for re-election this year. Christie was sitting alongside Govs. Nikki Haley of South Carolina, Scott Walker of Wisconsin . The Big guy has sank to new lows , maybe it was a bridge too far ! You are the company you keep ! "I often am jealous of my three colleagues up here who have Republican legislatures who could actually have Republican policies implemented, where in my state, everything that I've had to do has been the issue of a compromise or battle with the Democratic legislature," he said." Oh hey. Love the "woe is me". For a self made bully, Chris Christie is becoming really impressive at acting the wimp. No more "I'm A Compromising Bi-Partisan Moderate" for him. Cool. So, Chris. How's that split legislation working for Obama? Yeah. I thought so. Democrats have saddled NJ with over $150 BILLION in debt and unfunded obligations. Christie can only do so much, so fast, especially with Democrats in control of the NJ legislature. And all of the Democrats are now wasting millions of dollars on a politically motivated witch hunt in order to smear Christie. Krispy is a true representative of republican economics. Give tax cuts to big corporations which result in 6 credit downgrades and a $2.5 billion shortfall. Then pay for it with policemen, firemen, snowplow drivers and teachers pensions. This will result in the wealthy donating big bucks to the GOP. When are you dummies gonna come to terms with this fact. When republicans get their greedy mitts on the economy, they screw it up something awful. It's just a fact of life. it is the fault of the people that worked life long careers to earn those pensions. They should have been born rich and never need to work in the first place. The people born rich are the ones really suffering in this country, they have to suffer the sight of 'everyday people' as they are chauffeured around. 'Every day' people that work every day should have to hide and avert their eyes when they see their betters. Who do they think they are, expecting to be paid money they worked their entire life to earn?! So, when Obama meets resistance its still his fault, but not the case with the Republican Christie, man, you can't make this stuff up, the hypocracy is undeniable, yet the rwnj will do exactly that. "Given the success the RGA's had in the first five-six months of the leadership of me and Governor (Bobby) Jindal..... I don't think anyone's concerned about whether or not me or Bobby"
Maybe if you learned you some grammar somebody might buy whatever it is you're selling. I hope every Republican governor up for re-election loses while this crook is chairman. This has been the pattern in New Jersey for a long time. Democrats pay into the pensions, while Republicans do not. Christie bragged about being able to work with the Democrats in his legislature while he was campaigning in is mostly Democrat-leaning state for re-election. Now it would appear that having moslty Democrats in his legislature is a hindrance that is holding him back from being the super Governor that he knows he would be otherwise. Republican governors around the country are failures idiots need to stop voting for them. If I'm not mistaken, his chore of dealing with a Democratic majority is aided by his having a line item veto pen. it gives him the power to say, "My way, or the highway." I keep telling you guys, Tommy's a genius, now that's funny! Hey. : ) So good to "see" you! I'm winding down from politics myself. After being cooped up all winter, I really don't think I can tolerate much more foolishness for any real length of time. Looking forward to fun in the sun. And, yes. Absolutely I'll met you back here in fall. If we don't catch up now and again ... have a great and safe summer ... ! Wow does that sound exactly like Obama and the gang. Tom: yet he managed to move us out of a deep recession, and Christie economics are the same bush used to help crash our economy, when will you learn the gop wants another recession, look at the growth in inequality since then. 1% took 95% of all wealth tom, and you know the Republicans plan is to give that group even more than that, do you honestly believe that will work, if so I would argue that the level of wealth they have achieved, has not produced the results they promise: but it did deliver the results they were trying to achieve, that is why they are so gun ho on more tax breaks for them: all the while expert economists are shaking their collective heads. the recession ended in June of 2009. I do not like the system now and believe the tax system is horribly wrong today and that's why I would like to see a flat tax with little to no deductions so we can alleviate the problem of lobbyists buying off both parties. And the policies that Obama has put in place have exacerbated the inequality you speak of, he hasn't helped it, he's made it worse. Sure attention seeker, but tell that to the millions that were out of work and unable to find a job in June 2009. I was one of them. And there were millions more. Maybe the recession was officially over in June 2009 for the wealthy but it wasn't for the average person just trying to keep a roof over their family's head and food in their bellies. Many people couldn't find jobs until 2011. California is so much better under Jerry Brown than his Republicak predecessors it isn't even funny. Since California's economy is much bigger than any other state (yes, even bigger than New York's) it seems to me that we should be looking to progressive Democratic leaders to solve financial problems. Of course the state I am from, Colorado, has been doing just fine under Democratic leadership as well.